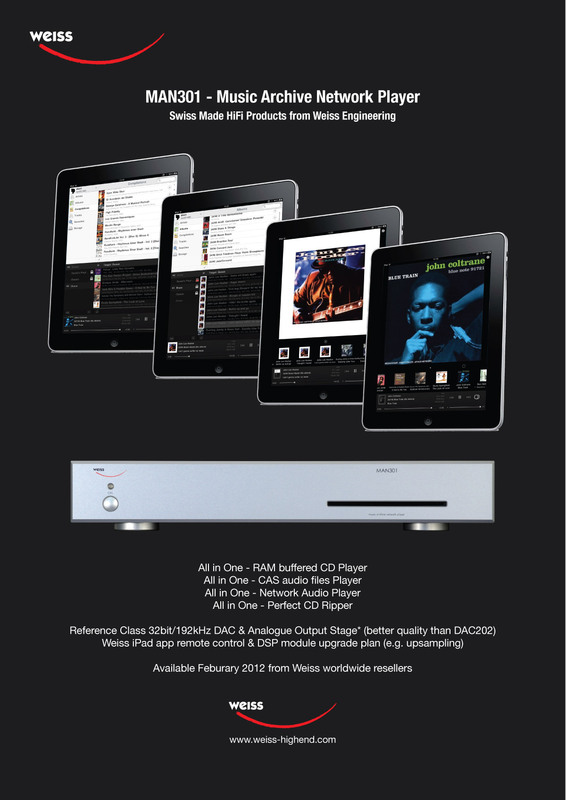 Weiss MAN301 Music Server | What's Best Audio and Video Forum. The Best High End Audio Forum on the planet! Has anyone had a chance to hear this new server from Weiss? I wonder how it compares to the other server solutions (Aurender/SOtM/ComputerAudiophile CAPS/Gary's SGMS/MacMini) in terms of sound quality and iPad app usability? 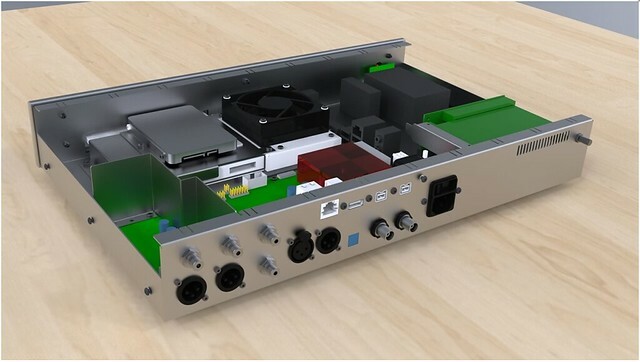 It is also available with a built in DAC202 which would make a nice single box integrated source component. We carry Weiss, and I can tell you this is a really good server. From a sound quality standpoint, we have not heard anything better. It is also very flexible and includes a front-loading CD slot, plus the ability to have unlimited storage via an external NAS. I think the user interface is very powerful. It takes a little getting used to, but once you learn how to use it, it is very powerful. Have you try to connect MAN301 to an external DAC as the Medea+ ? And compare this with the sound of a very good CD player (as Jason) connected on the same DAC (Medea+) ? Yes, and in fact, the photo at the top of this thread is from Ciamara's room at this year's New York Audio and AV Show. The MAN301 sounds noticeably better than the DAC202 when directly feeding amplifier(s), but the Medea+ takes things to an entirely different level. For the playback of music files, the MAN301 definitely sounds as good as, and sometimes better than, the Jason. But it depends on the program material. For direct CD playback, we still favor the Jason over the MAN301. The MAN301 is really designed to play stored music files from a NAS. I hope that helps! I assume then we can get "entirely different level" if I take Medea+ with FW option, and DIY computer source.. right? Actually, I thought that -128db of the measured SNR of MAN301 is pretty good..
Actually, I heard Minerva and DAC202 for couple of days on my setup.. Considering DAC202 as a reference, could you please describe the difference between Medea+ and DAC202 and MAN301? I was using some of the very best audiophile recordings, e.g. reVisions: Songs of Stevie Wonder 24bit/192KHz, among others.. Using a computer via Firewire source is pretty good, but we have experienced another major step up in sound performance when using the MAN301 via AES/EBU to the Medea+. The sound staging, detail and depth seems to be much better, and with less high frequency noise. We tried a Macbook Pro, a Mac Pro and a Mac Mini via Firewire, and in every case, AES/EBU from a server was superior. 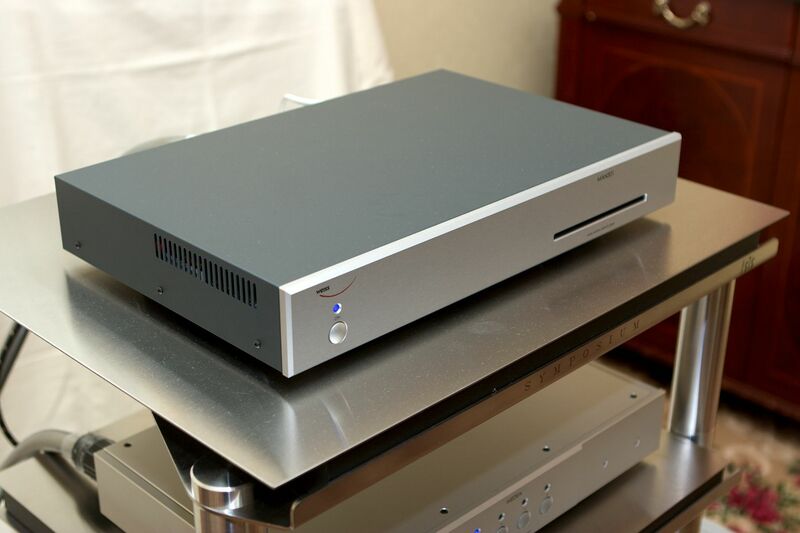 Overall, the Medea+ outperforms the MAN301's built-in DAC (by a very wide margin), which in turn outperforms the DAC202 (by a much narrower margin). The Medea+ brings far more resolution and detail, without a hint of etch. It's a major step up, and a true reference piece. On a high resolution system, this improvement is very obvious across all program material, including redbook and high res. The DAC202 sounds better on higher res recordings than it does on redbook material, most likely due to filtering. The DAC202 does seem to sound better with a good AES/EBU input from a high quality source (e.g. top quality music server or transport) than it does over Firewire. As always, your mileage may vary, so definitely try different configurations and decide for yourself. Feel free to contact us through ciamara.com if you'd like additional info or help. Daniel told me that MAN301 will introduce soon parametric EQ built-in, that will be really beneficial for me personally since I am using today some sort of EQ to cancel room modes. BUT.. All these configuration preserve Weiss sonic signature: full body, "thick" mid-bass, detailed bass, transparency.. right? They all have the Weiss sonic signature, but the Medea+ adds an entirely new dimension of detail and transparency not present with the DAC202 or MAN301 with onboard DAC. If it were my money, I'd get the MAN301 and Medea+ and never look back. Michael (or Sanjay), do you have any info on the planned parametric EQ inclusion on the MAN301? This would be the first stand alone music server that I am aware of that incorporates parametric eq (and hence the first music server solution that I would be willing to ditch my mac mini for). Would love to hear further details on number of allowable filters, manual input of frequency/gain/Q, controllable from the iPad app and availability. Thanks! I don't have info on parametric EQ. It is a nice tool to have, particularly if want to deal with a niggly frequency or two. But honestly, the better solution is always to treat the room properly. I highly recommend this in almost every situation. You cannot treat bass boost of 10db or more below 70Hz, and this is not uncommon. The only mechanism is the EQ..
That's what Daniel promised, hopefully we will see this. Well, in theory you can, but the shear volume of acoustic material needed makes this unfeasible, particularly in domestic environments. I once worked it out and came out to over a meter of thickness needed to address a mode I have at 35Hz in my room. I use 5 parametric EQ filters from 20-200Hz and when I take before and after measurements they do a great job of bringing down peaks and also at addressing decay issues at those frequencies. It is an absolute no-miss feature for me currently, until I move to a dedicated room where I have more loudspeaker positioning and treatment options. Also, I won't settle for an external unit which adds additional A/D and D/A conversion, the FabFilter ProQ plugin I am currently using within PureMusic is 100% transparent to my ears. Me too. I use Room EQ Wizard to measure and prepare these filter settings, but I have a device (digital in/digital out, no ADC/DAC in between) feeding my DAC. Regarding Aurender, I also asked these guys and got a response from Charles Kim that they do not want neither plan to implement EQ. So I will either wait until Daniel Weiss release an update to the software for MAN301 (frankly, they have the knowledge since they have impressive piece for the Pro market), or I will stick to computer as you do today. Thanks for the info.. we are on the same page with this. What digital device do you use between the PC and DAC? I'm guessing it takes SPDIF in and out? I am using modded SlimDevices Transporter today (clocks, burson op-amps, power, etc.) with Behringer DEQ2496 in a digital loop. 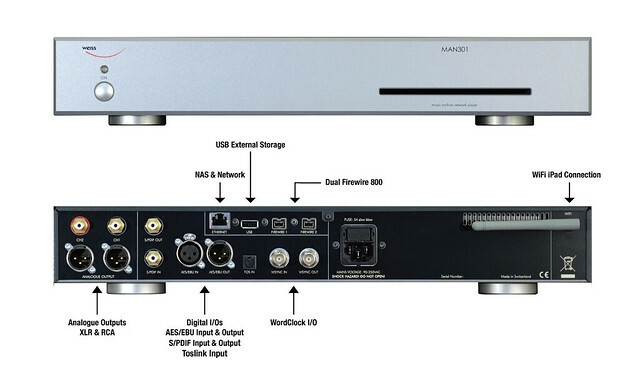 Transporter is capable to "export" the digital stream before it enters the DAC to external processor and then take a correct stream to its DAC. In a digital loop, that Behringer processor well worth the money and the benefits of room corrections overshadow the drawback of having another component in the chain. Behringer is 96/24 and so is Transporter so this due works fine. BTW, many devices I've seen (do not remember regarding Trinnov) are limited to 48KHz, or to 96KHz (in the best case). Even if they receive 192/24 on their inputs, the internal processing is limited to 48/24 to save CPU cycles. And I hate down-sampling, regardless what I am told - I do not need/won't hear. Weiss just announced a "Golden software update" for the MAN301. The parametric EQ has not yet been implemented in this update. I did not expect it to be ready so soon. Honestly, I am quite skeptic since 192/24 will require a lot of processing power.. and reading the bug-fixes stating issues with rip in parallel to playback I believe the Sharc or whatever CPU is there inside is not so strong. We just received a new batch of MAN301s, and we have been experimenting with the direct MAN301 > Power amp configuration. With a solid state drive connected via USB, it sounds pretty damn good, at all resolutions. It's not quite the Medea+ in terms of sonic fidelity and nuance, but it is really good. This is a definite step up from a computer + DAC202.